At Honest Teeth, we understand the impact a beautiful smile can have on the lives of our patients. If your teeth are crooked, stained, gapped, or discolored, this can make you self-conscious about your smile. At Honest Teeth, we believe that every patient deserves a proud grin, and that’s why we offer a wide range of cosmetic services to improve smiles. Dr. Meinerz and Dr. Krueger have years of experience helping patients spruce up their smiles, so reach out today if you want to start your journey to the smile of your dreams! Do you want to improve your smile, but don’t know what cosmetic treatment to use? At Honest Teeth, we take the hassle out of searching for the right cosmetic dentistry for your smile. For those hoping to achieve better confidence in an radiant new smile, we welcome our patients to come in for a free consultation for cosmetic dentistry where we’ll discuss the range of options available in our office. Cosmetic dentistry focuses on correcting imperfections in the smile for a more aesthetically pleasant appearance. By making small adjustments to the size, shape and color of the teeth, patients can achieve radiant new smiles. With services ranging from professional teeth whitening to porcelain veneers and invisalign, patients are encouraged to discuss their options with Dr. Meinerz, their cosmetic dentist in Elm Grove. In-Chair Teeth Whitening And Custom At-Home Whitening Trays At Honest Teeth! Smiles may fade, but your confidence shouldn’t! When you make your appointment for professional teeth whitening at Honest Teeth, the process is simple and the results are gratifying. Unlike drugstore teeth whitening that can leave you with sensitive teeth or unbalanced results, our teeth whitening system is known as the most effective way to whiten your teeth and is designed to reduce or prevent tooth sensitivity. We’re proud to offer professional teeth in Elm Grove to support your most confident smile! Veneers are extremely versatile and can be used to treat a wide range of imperfections. Essentially, veneers are thin, yet durable pieces of porcelain or ceramic material that are sculpted to fit perfectly over your existing teeth and cover up cosmetic issues. When they are placed over your teeth, they give your smile a fresh, new look. Invisalign is a great alternative to traditional orthodontic treatments, such as metal braces. 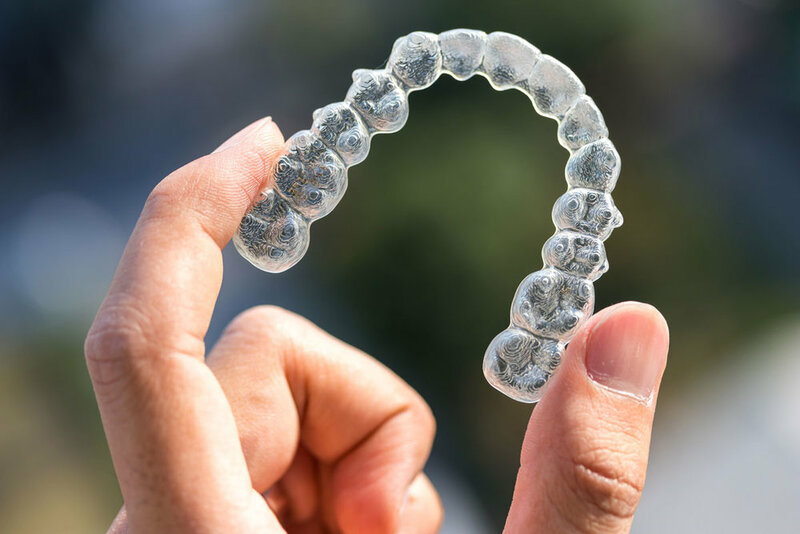 Rather than using wires, brackets, and rubber bands to shift your teeth, Invisalign uses a series of retainer-like, clear plastic “aligners” that are virtually invisible when worn. The aligners exert even, gentle pressure on your teeth to shift them into the proper position. Invisalign is a great option for orthodontic treatment, particularly for adults who wish to avoid wearing highly visible traditional braces. Tooth-colored composite fillings use a special blend of dental resin and crushed glass, rather than the metal-based, mercury-amalgam material used in traditional fillings. This has a number of benefits. First, composite fillings match the color of your teeth perfectly, preserving your smile. Tooth-colored fillings also require less enamel to be removed during treatment, which can strengthen the tooth more effectively. 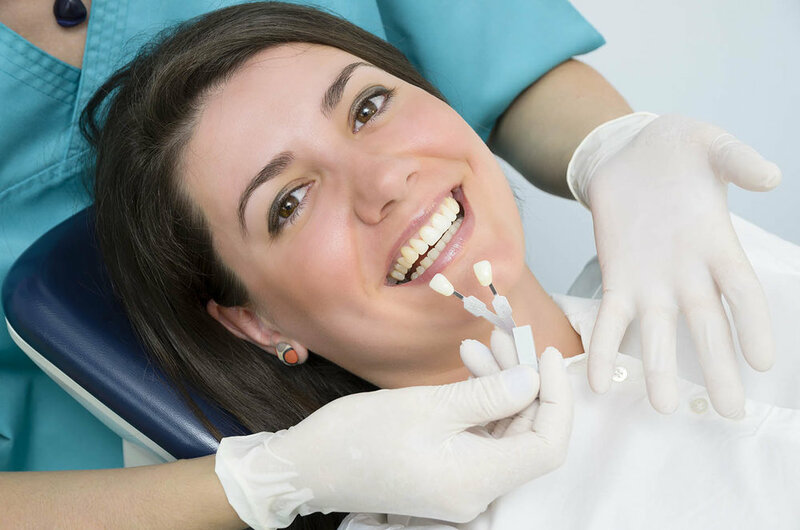 Dental bonding is a cosmetic treatment that involves placing dental resin onto your teeth and sculpting into a more aesthetically pleasing shape. This can be used to fill in imperfections in your teeth and reshape your smile. Dr. Meinerz or Dr. Krueger will apply the resin to your tooth, shape it, then harden and sculpt the resin to match your surrounding teeth and improve your smile. Shaping and contouring are usually used alongside dental bonding to ensure a seamless smile that looks and feels natural. If you’re not sure which treatment is right for you, or you think you may need multiple treatments to get your dream smile, we offer comprehensive smile makeovers at Honest Teeth. Dr. Meinerz or Dr. Krueger will examine your mouth, have a conversation with you about your smile goals, and discuss your budget to help you choose the procedures that are right for you. Get Started Today – Schedule Your Consultation Now! At Honest Teeth, we provide superior results at a reasonable price, and we’re always accepting new patients. If you’re ready to get started or you have a few questions, don’t hesitate to contact us at (262) 784-7770, or come by our office at 15255 Watertown Plank Road, Suite 100, Elm Grove, WI 53122. Your dream smile is just one appointment away, so get started now!